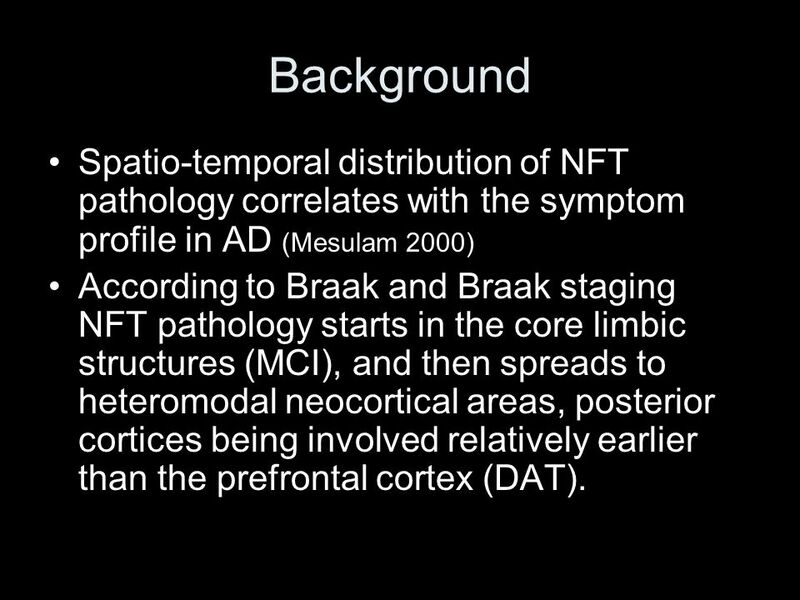 2 Background Spatio-temporal distribution of NFT pathology correlates with the symptom profile in AD (Mesulam 2000) According to Braak and Braak staging NFT pathology starts in the core limbic structures (MCI), and then spreads to heteromodal neocortical areas, posterior cortices being involved relatively earlier than the prefrontal cortex (DAT). 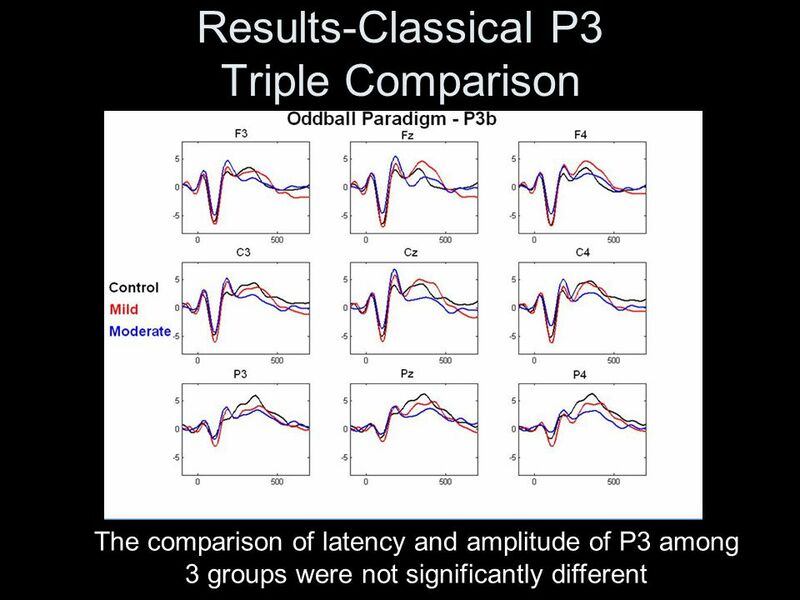 2 different acoustic stimuli An actively engaged subject detects rarer target stimuli (T) amongst a train of standard stimuli (S) Attending T evokes a positive wave around 300 msec post-stimulus, with a highest amplitude parieto-centrally P3a and P3b Novelty paradigm In addition to T and S, novel even rarer sound stimuli (N) are interspersed in the train. 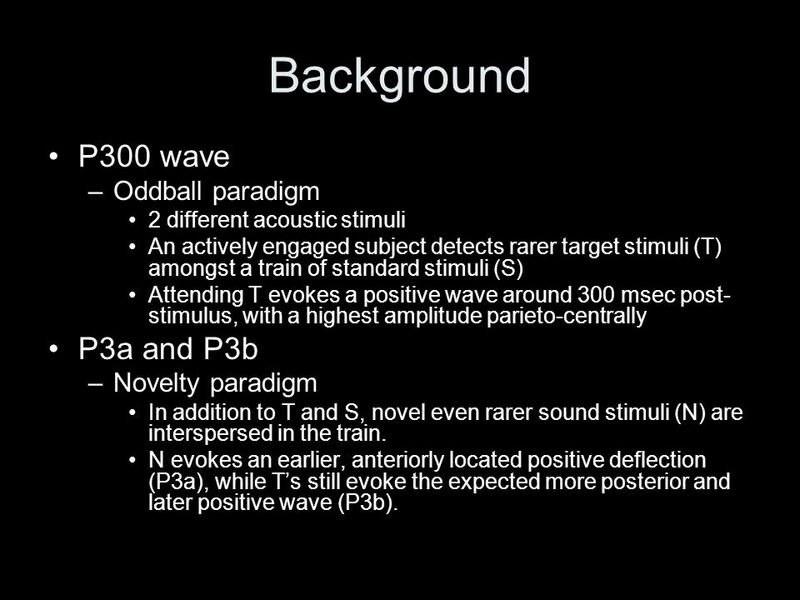 N evokes an earlier, anteriorly located positive deflection (P3a), while T’s still evoke the expected more posterior and later positive wave (P3b). 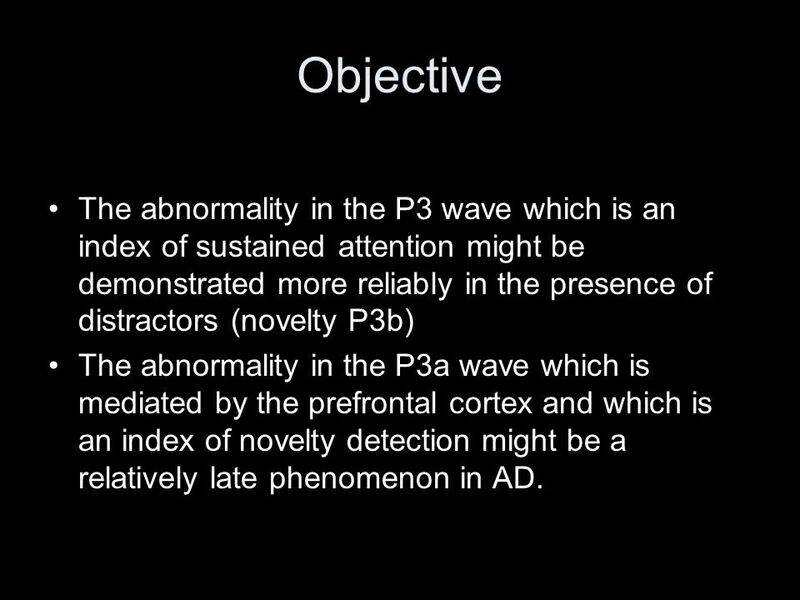 5 Objective The abnormality in the P3 wave which is an index of sustained attention might be demonstrated more reliably in the presence of distractors (novelty P3b) The abnormality in the P3a wave which is mediated by the prefrontal cortex and which is an index of novelty detection might be a relatively late phenomenon in AD. 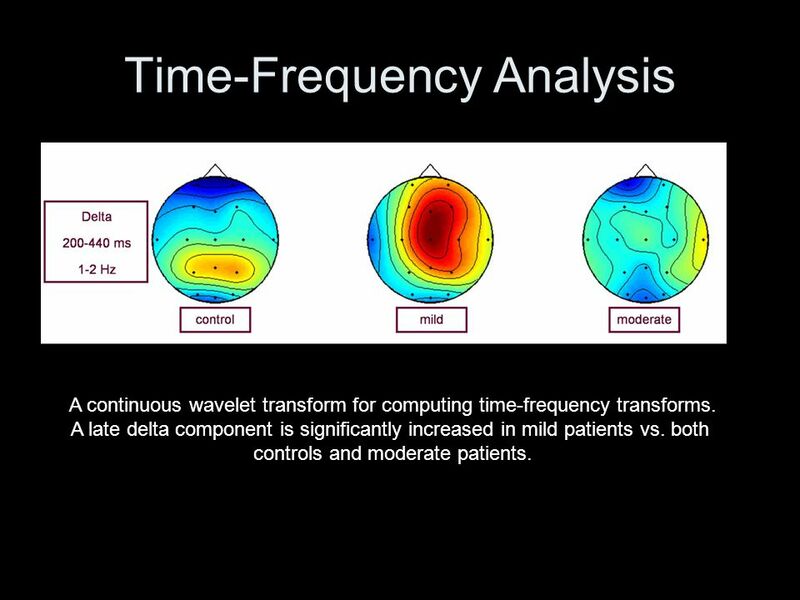 A continuous wavelet transform for computing time-frequency transforms. A late delta component is significantly increased in mild patients vs. both controls and moderate patients. 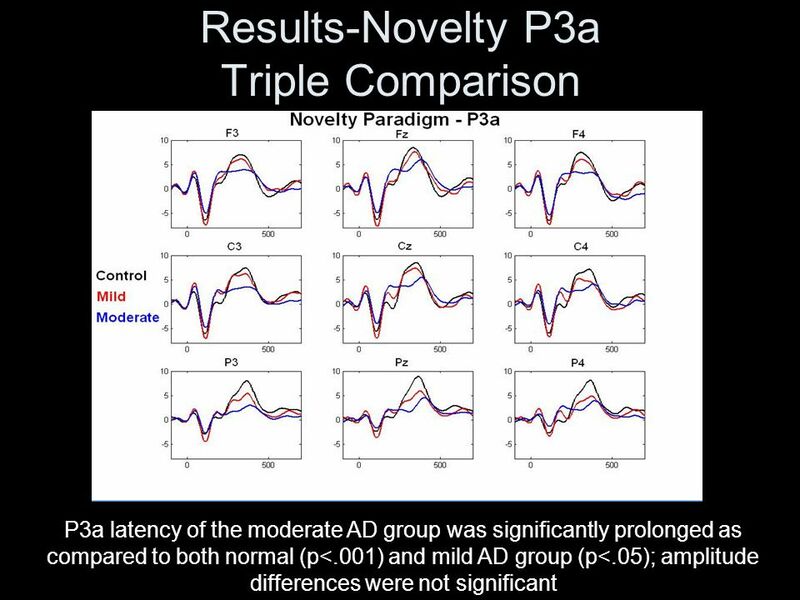 15 Conclusions The latency of P3a discriminates the moderate from the mild stage. 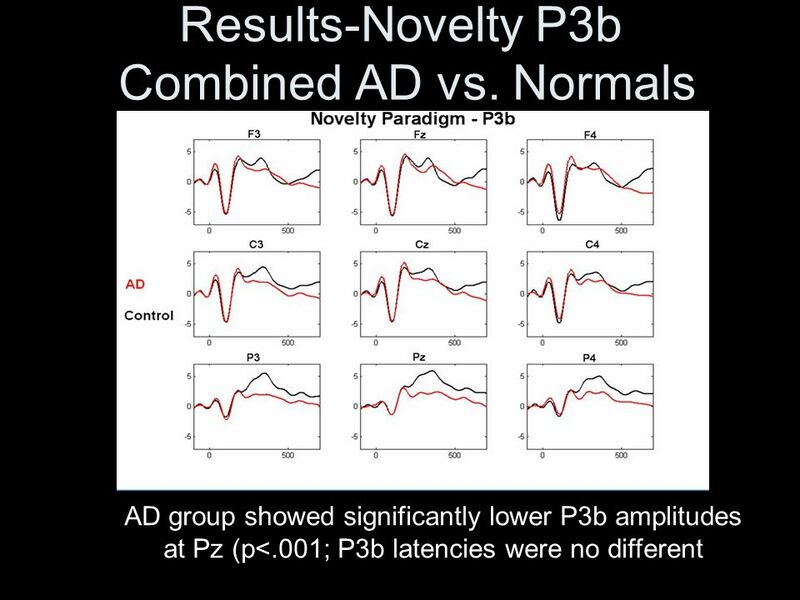 Novelty P3b the mild stage from the normals. 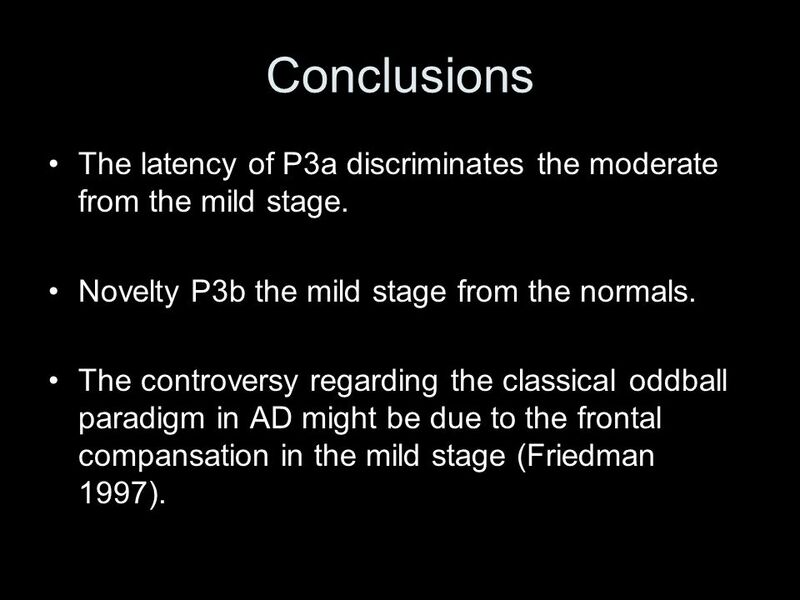 The controversy regarding the classical oddball paradigm in AD might be due to the frontal compansation in the mild stage (Friedman 1997). 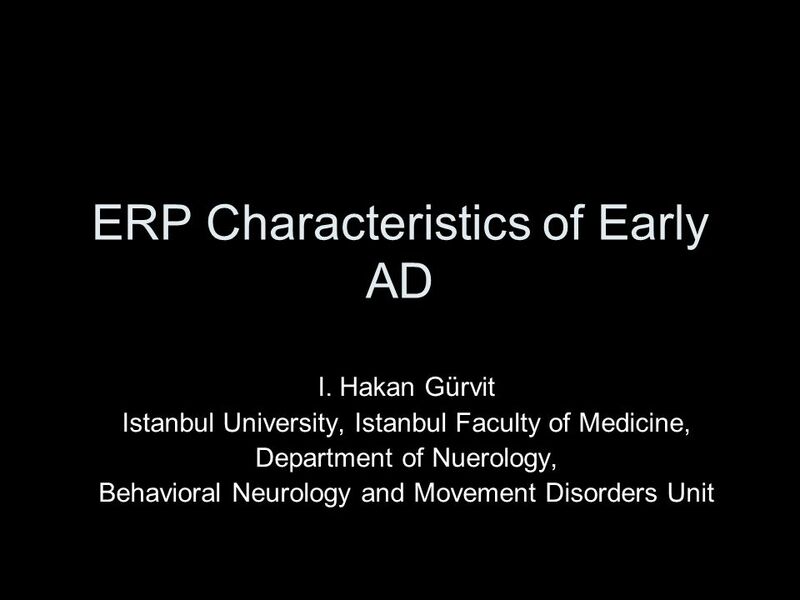 Download ppt "ERP Characteristics of Early AD"
BARRY DAUPHIN, PH.D. HAROLD GREENE, PH.D. MINDEE JUVE, M.A. Cognitive Mediation and Information Processing on the Rorschach. 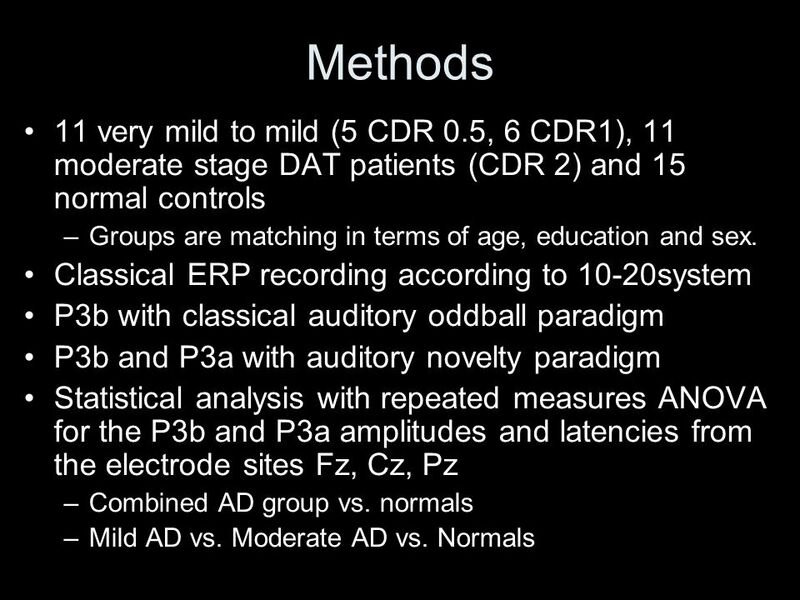 AUDITORY EVOKED POTENTIALS IN THE SITUATION OF ATTENTION IN RELATION TO PECULIARITIES OF TEMPERAMENT IN MAN Chernysheva E.G., Chernyshev B.V. Ramendik. 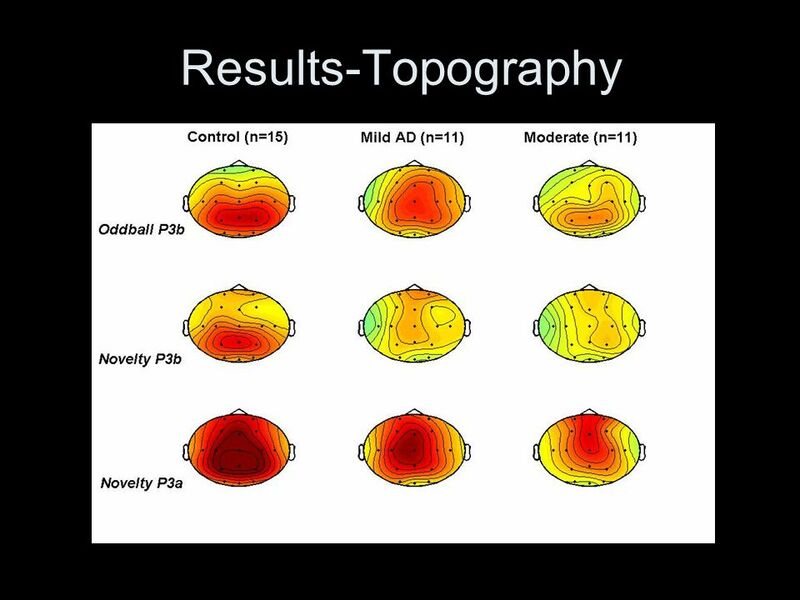 The Effects of Poverty on Brain Function in Children Mark M. Kishiyama. 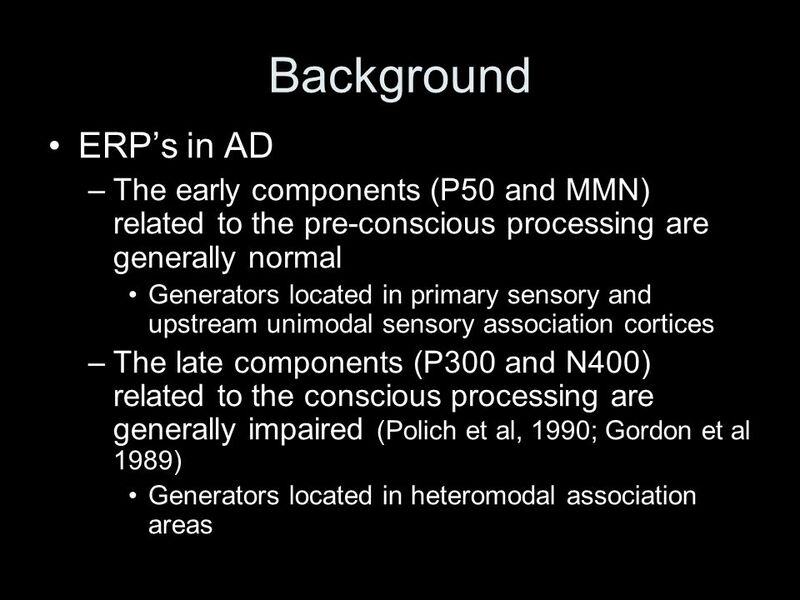 Neural Correlates of Consciousness By Charlene Campbell. Timing of the brain events underlying access to consciousness during the attentional blink Claire Sergent, Sylvain Baillet, & Stanislas Dehaene. All slides © S. J. Luck, except as indicated in the notes sections of individual slides Slides may be used for nonprofit educational purposes if this copyright. Transcranial magnetic stimulation of the occipital pole interferes with verbal processing in blind subjects Amir Amedi, Agnes Floel, Stefan Knecht, Ehud. 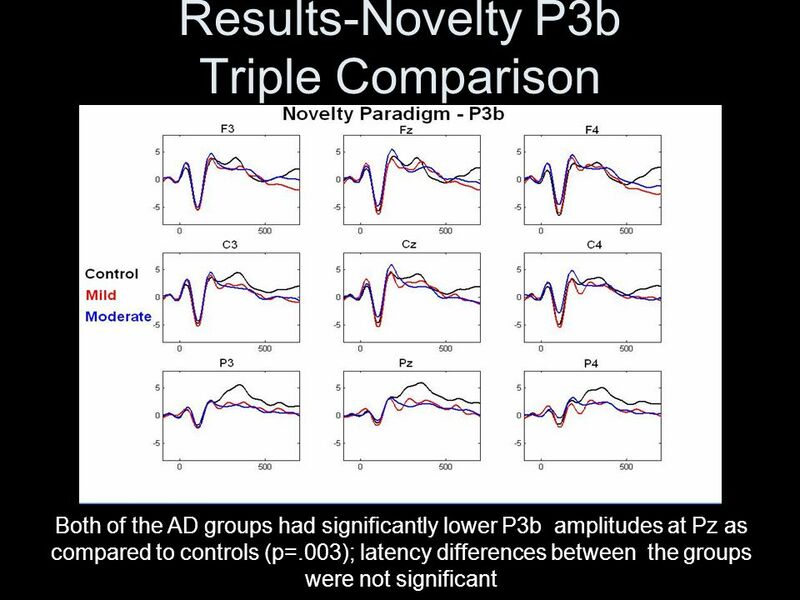 Visual speech speeds up the neural processing of auditory speech van Wassenhove, V., Grant, K. W., & Poeppel, D. (2005) Proceedings of the National Academy. Gene-gene interaction of COMT and DRD2 modulates context updating and novelty processing Manuel Garcia-Garcia, Francisco Barceló, Iria SanMiguel, Immaculada. 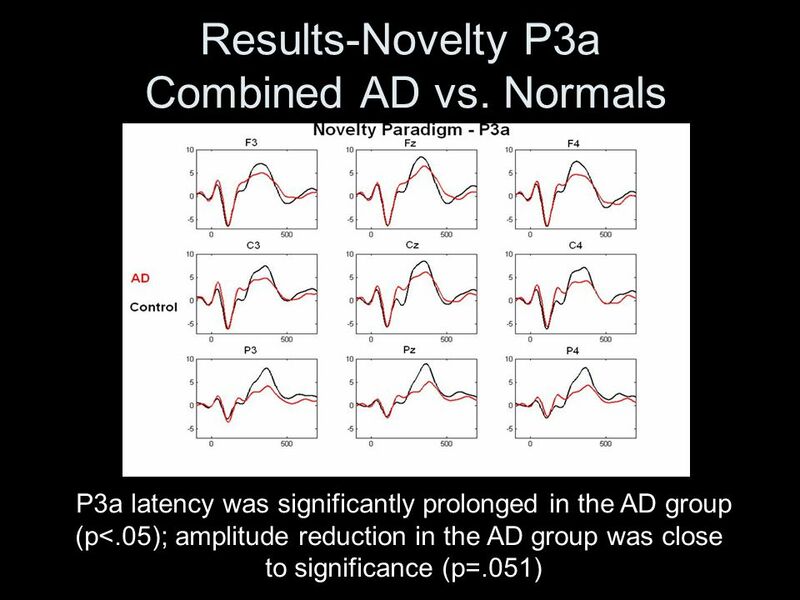 Atypical Visual Processing in Infant Siblings of Children with Autism Spectrum Disorders (ASD) Karen Dobkins Leslie Carver Joseph McCleery Funded by NAAR. Spatial Neglect and Attention Networks Week 11 Group 1 Amanda Ayoub Alyona Koneva Kindra Akridge Barbara Kim. 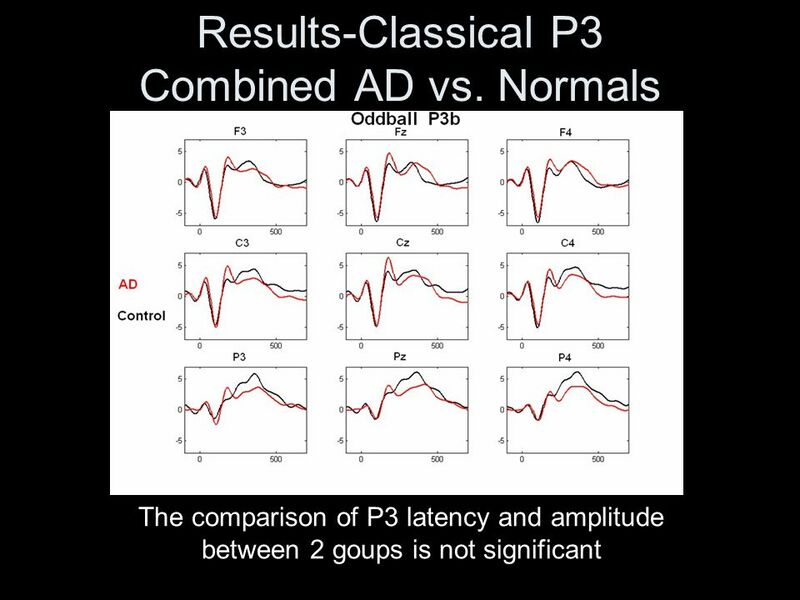 Consequences of Attentional Selection Single unit recordings.